> No, I’m not dead. Just your typical month-long absence. Things have been hectic for me recently, and I don’t know how often I’ll be able to get on BWI nowadays. But I figured I owed at least one article after not even checking on the site in over a month. A lot has happened since I’ve been away, with the most significant thing pertaining to Ryan Braun and his second straight eventful offseason. But first, let’s talk positives: it’s hard not to be positive when baseball is getting back into full swing. > The Brewers’ had their first Spring Training game yesterday, and squeezed past the Athletics in a 2-1 pitchers’ duel. The A’s recorded just five hits off the Brewers’ pitching staff, while the Brewers themselves managed just three. But patience at the plate was what gave the Brewers the edge: they drew seven walks against an otherwise-solid Athletics pitching staff. Braun got the Brewers on the board in the first inning with a home run in his first (and only, as it turns out) ST at-bat. The second Brewers run came on Jean Segura’s RBI groundout in the fourth inning. In the seventh, prospect Michael Choice drove in the only Athletics run. > So offense wasn’t exactly the Brewers’ strong point yesterday: the only players to pick up hits were Braun, Jonathan Lucroy, and Caleb Gindl. However, Carlos Gomez and Taylor Green drew back-to-back walks twice in the game. Hopefully this foreshadows that Gomez will be a bit more patient at the plate this year. But the pitching was nothing but stellar. Aside from Santo Manzanillo allowing a run in 2/3 innings of work, the staff shut down the A’s. Mike Fiers worked around a shaky 26-pitch first inning to toss two scoreless innings. From there, John Axford, Jim Henderson, Donovan Hand, Rob Wooten, Michael Olmsted, and Jesus Sanchez- who recorded the save- all had scoreless outings as well. > Speaking of Olmsted, he’s received a lot of clamor and praise from players early on in Spring Training. He pitched the eighth yesterday and recorded two strikeouts. Hopefully that’s a role we’ll see him playing during the regular season. > With that out of the way, let’s move onto the news that’s made this past month somewhat miserable for the Brewers. > So there’s this pharmacy in Miami that’s been referred to as the “Biogenisis clinic.” Roughly a month ago, news broke out that it had allegedly sold PEDs to six players: Alex Rodriguez, Gio Gonzalez, Nelson Cruz, Melky Cabrera, Bartolo Colon, and Yasmani Grandal. Perhaps not coincidentally, four of these players- A-Rod, Melky, Colon, and Grandal- had all been linked to PEDs (and, in some cases, suspended for use of them) in the past. Since this incident was first reported by Yahoo!, however, more players have come out to be linked to Biogenesis. Braun was one of them. But you knew it had to happen since he had said just a few days before that he was enjoying his non-eventful offseason. To be honest, though, I’m not nearly as worried about this case as I was about the whole fiasco last offseason. Braun has not been directly linked to PEDs in this case- at least not yet. His name is on some extremely sketchy piece of paper next to a sum of money, but it does not say that he bought PEDs. According to Braun, he reached out to Anthony Bosch- the Biogenesis founder- for help during his trial last offseason. Why would he link himself to someone like that? Beats me. But all I know is that he hasn’t been linked to PEDs directly yet, and, until he is, he’s completely innocent. > There was a 1/10 chance that Mat Gamel was going to re-tear his surgically repaired ACL. But, since he’s Mat Gamel, that automatically becomes a 10/10 chance, which it did. Now he’s going to miss the whole 2013 season after getting knocked out of the 2012 season in May. That leaves the Brewers with two injured first baseman to start the 2013 season, as Corey Hart will likely miss at least a month as well. The Brewers hope to tread water internally at first base until Hart returns, and are primarily looking at Alex Gonzalez (re-signed to a Major League deal to play a utility role), Hunter Morris (has never played above Double-A), and Bobby Crosby (former Rookie of the Year, signed to a minor league pact). Personally, I’d like to see Morris get a chance, but I can see where the Brewers wouldn’t want to waste an option on him and start his free agency clock early just so he can fill in for a month. > And that’s about it for now. The Brewers take on the Indians later today at 2:05 PM CT. Mark Rogers will take the hill as one of the many Brewers competing for a spot in the rotation. Carlos Carrasco will go for Cleveland. > For a while, I was worried that the Brewers weren’t going to be able to pick up a lefty reliever this offseason. They haven’t had a consistent left-handed arm out of the bullpen in years, and Manny Parra being non-tendered left them with almost no possibilities on their 40-man roster. But, while I was away, the Brewers turned it around and signed two left-handers with very solid track records: Tom Gorzelanny and Mike Gonzalez. Gorzelanny, a name Brewers fans may know from his time with the Pirates and Cubs, thrived out of the Nationals’ bullpen last season, his first full season as a reliever. He went 4-2 with a 2.88 ERA in 45 games (72 innings). He won’t strike out a hoard of batters, but hasn’t had a K/9 below 7.3 since 2008. Gorzelanny also gives the Brewers a bit of versatility out of the ‘pen- he can be a lefty specialist, a long reliever, or even a spot starter. Gorzo’s contract is for two years and $6 million. Gonzalez, on the other hand, is a true lefty specialist, or “LOOGy” (lefty-one-out-guy). He was also with the Nats last year, but didn’t sign until midseason. In 47 games (35 2/3 IP), he posted a 3.03 ERA. But the primary stat to look at for a guy like Gonzalez how left-handed batters fare against him, and in 2012 they didn’t have much success. Gonzalez held them to just a .179 average. He did allow righties to hit .297 against him, but, assuming Ron Roenicke uses him correctly, that won’t be much of an issue. 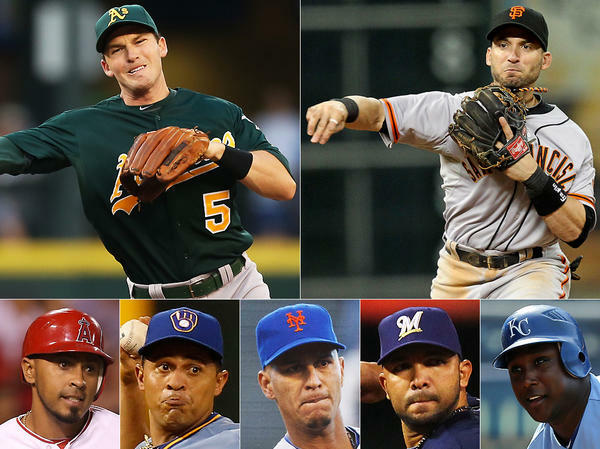 The first five are locks, but the last two spots could be up for grabs in Spring Training. The Brewers actually have a wealth of power righties to choose from for those two spots, however- aside from Kintzler and Olmsted, there’s Johnny Hellweg, Josh Stinson, Jesus Sanchez, or even Mark Rogers (I’ll touch on his case in the coming days). But Kintzler, who has parts of three big league seasons under his belt, will definitely be a favorite. Same goes for Olmsted, who posted god-like numbers at Boston’s Double-A affiliate in 2012. > The Brewers also signed multiple players to minor league deals while I was away: right-handed reliever Jim Hoey, shortstop Ozzie Martinez, and outfielders Rene Tosoni and Cole Garner. > Arcenio Leon was designated for assignment yesterday after the Brewers made the Gonzalez signing official. > The Brewers weren’t expected to make many impact trades this offseason, primarily because their farm system is still depleted from acquiring Shaun Marcum and Zack Greinke back in 2010. But, it often goes unsaid that the Brewers have a ton of outfield depth, and today they used that to their advantage to start fixing one of their other needs. The Brewers managed to acquire an established reliever in Burke Badenhop, who has been solid for the Rays and Marlins over the past few years. In return, the Brewers only needed to give up minor league outfielder Raul Mondesi Jr., which doesn’t quite break my heart if you consider the numbers he’d been putting up. Badenhop, who is still just 29, had a career year last year in his first and only season with the Rays, going 2-3 with a 3.03 ERA. He had been a bit inconsistent in his first four years in the league with the Marlins, but, now that he’s put up a few solid seasons in a row, it’s safe to assume he’ll continue his success from last year. Another perk regarding Badenhop is that he’s a groundball pitcher, which will definitely play well at Miller Park. He doesn’t strike out many guys (career 6.7 K/9), but he doesn’t give out many free passes either (career 2.9 K/9). Anyway, I see Badenhop filling the role that Jose Veras was supposed to take on in 2012 (but failed), which is getting through the seventh inning to pass it on to the setup man and closer. In a perfect world, Badenhop would have the seventh, a young flamethrower like Jim Henderson (or even Michael Olmsted) would throw the eighth, and a rejuvenated John Axford would close it out. It’s unlikely things would go that smoothly early on, however, so don’t be surprised to see Badenhop pitching the eighth (unless the Brewers sign/trade for another setup man). I saw some people on Twitter complaining about losing Mondesi. But honestly, who cares? The Brewers might have the most outfield depth in the Majors, including four established outfielders at the big league level with another one ready to burst onto the scene. Not to mention Mondesi wasn’t looking much like his father offensively during his three years in rookie ball for the Brewers- he hit just .243 with 12 homers and 76 RBIs in those three seasons. But perhaps this trade will work for the both teams. While the Brewers filled one of many huge holes in their bullpen, the Rays may have taken a step in replacing B.J. Upton, who just signed a five-year, $75 million deal with the Braves. Either way, I’m happy with what the Brewers got out of it. > Another thing worth noting about this trade: with the acquisition of Badenhop, the Brewers now have three guys with guaranteed spots in the 2013 bullpen (yes, I’ve been keeping track of guys who I think have roles already locked up). The other two are Axford and Henderson. Doug Melvin seems confident that Axford will rebound in 2013, and has mentioned Henderson as another guy he hopes to build the bullpen around. There are a few guys in the minors who I think have very good shots at making the bullpen and thriving, Olmsted being the one I have the most confidence in. It’s true he’s never thrown a pitch above Double-A, but the numbers he put up with Boston’s Double-A affiliate tell me he’ll be throwing a lot of pitches above Double-A in 2013. Then there are Jairo Asencio and Zach Kroenke, both of whom were also signed to minor league deals this offseason, but they don’t have quite as good of track records as Olmsted. The homegrown guys, such as Brandon Kintzler, will also get opportunities. But I think the Brewers need to add at least two more established relievers at the big league level in order for me to feel good about the ‘pen going into 2013. > The Cubs signed Japanese reliever Kyuji Fujikawa, surprisingly. I was convinced the Dodgers or Angels were going to nab him. Mariners: Re-signed Josh Kinney and Robert Andino to one-year deals. Pirates: Re-signed Charlie Morton to a one-year deal. Diamondbacks: Non-tendered ex-Brewer Wil Nieves. Reds: Re-signed Denis Phipps and Kris Negron to minor league deals. Twins: Re-signed Lester Oliveros to a minor league deal. 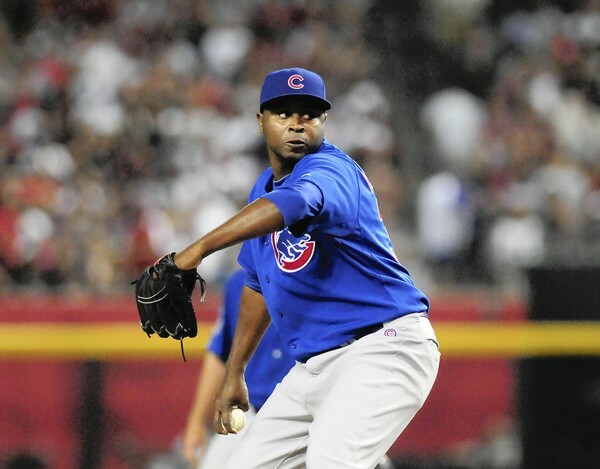 I wasn’t expecting the Brewers to bring in an elite reliever like Rafael Soriano, but now it might be a tall task to even sign a relatively mediocre guy. 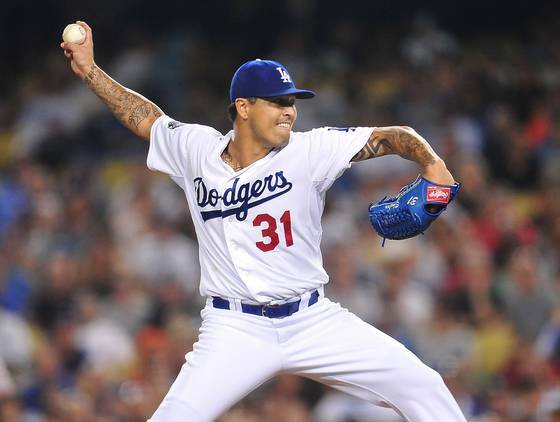 The Dodgers signed Brandon League to a three-year deal worth $22.5 million deal. By looking at that contract, you’d think League is some kind of lights-out late inning reliever, right? Not quite. There’s no denying League has good stuff (in fact, I’ve been a fan of his for a long time), but he did not deserve that kind of money. The Dodgers acquired League from the Mariners at the Trade Deadline to be their seventh inning reliever. They already had a decent closer at the time in Kenley Jansen, and probably weren’t planning to make League the closer at any point. In fact, League had been yanked out of the closer’s role for the Mariners earlier in the year, and rookie Tom Wilhelmsen took over. But Jansen went down with an injury, and the Dodgers decided to throw League back into the closer’s role. He did a solid job down the stretch for a Dodgers team that disappointed. I got a bit off topic, but the point is League hasn’t really even re-established himself as a consistent closer, yet the Dodgers threw millions of dollar signs at him. Why? Simply because they can, and it doesn’t put a dent in their enormous payroll. To them, it doesn’t matter. But to the rest of the small market teams looking for relief help, such as the Brewer, it matters. My confidence in the Brewers bringing in at least a reliever whose name is relatively known around the league has certainly wavered. They’ll likely have to hope the minor league signings, such as Michael Olmsted and Jairo Asencio, will be enough to shore up what was a terrible bullpen in 2012. > It’s been reported that many teams are interested in relievers Jason Grilli (RHP) and J.P. Howell (LHP), and there’s no doubt in my mind the Brewers are in the running for each of them. But, as I just explained, bringing in either of them might not be as easy as we think. Cardinals: Signed Justin Christian to a minor league deal. Tigers: Signed Kevin Russo to a minor league deal. Rangers: Signed Scott Olsen to a minor league deal. > The Brewers signed reliever Jairo Asencio to a minor league deal on Monday. The deal includes an invite to Spring Training. It’s probably unfair for me to judge him based on just parts of three seasons in the Majors, but I’ve never been a huge fan of the guy. His numbers in the Majors, though they are a small sample size, are unimpressive: he has a 5.23 ERA over 58 1/3 innings. In 2012, he threw a career-high 40 1/3 innings between the Indians and Cubs. Asencio had a 4.91 ERA overall in 2012, but was significantly better with the Cubs, posting a 3.07 ERA in 12 games with them. The Brewers are doing exactly what I expected them to do: attempt to rebuild the bullpen from scratch. Not saying that’s a bad thing; sometimes it works. I think Michael Olmsted, if he stays healthy, could be a huge contributor at the big league level. I don’t feel quite as strongly about Asencio, but you never know. > Apparently Doug Melvin and Zack Greinke recently had a conversation, but it was “just about baseball.” Of course, the media has tried to blow this into a “the Brewers are extremely interested in Greinke” situation, but they didn’t take into consideration that Melvin and Greinke became very good friends outside the game during Greinke’s time in Milwaukee. Not saying that I don’t want the Brewers to bring Greinke back, but it’s extremely unlikely. The Angels and Dodgers seem to be his most likely suitors at this point. > Melvin also continues to preach that the Brewers are a “long shot” for Josh Hamilton, who recently announced he’s seeking $175 million years over seven years (not like he’s actually going to get that kind of deal with his injury/drug history, though). One thing I’ve forgotten to take into consideration this offseason is that Melvin has probably been turned off of mega-deals because of his history with them. In 2001, when Melvin was the general manager of the Rangers, he was the man who signed Alex Rodriguez to the infamous 10-year deal. Of course, the Rangers wound up not being able to afford it and had to send A-Rod to the Yankees. But perhaps that’s why Melvin is being so hesitant with these big-name free agents. > Juan Nieves, who threw the only no-hitter in Brewers history back in 1987, was hired as Boston’s hitting coach today. > Brooks Conrad signed with the Hanshin Tigers in Japan. Maybe he’ll hit higher than .000 over there. Twins: Re-signed Sam Deduno and Esmerling Vasquez to minor league deals. Braves: Signed Wirfin Obispo to a minor league contract. Orioles: Outrighted Steve Tolleson, who elected free agency. Mariners: Claimed Scott Cousins off waivers from the Blue Jays. Yankees: Claimed David Herndon off waivers from the Blue Jays; claimed Josh Spence off waivers from the Padres. Mets: Outrighted Mike Nickeas and Fred Lewis, both of whom elected free agency; released Jason Bay (that’s probably more than a minor move, but he was so hilariously bad for them that I can’t consider it major). Diamondbacks: Signed Eddie Bonine to a split contract. White Sox: Acquired Blake Tekotte from the Padres. Padres: Acquired Brandon Kloess from the White Sox. > Yesterday, the Brewers signed reliever Michael Olmsted to minor league pact and added him to the 40-man roster. My immediate first thought was, “Oh great, the Brewers are going to try and shore up the bullpen by signing no-names and hoping they pitch well.” That strategy works from time to time, but not often. But, after doing some research on Olmsted, the kid might not be some no-name- at least not for long. This past year for Boston’s Class A and Double-A affiliates, Olmsted had a stellar 1.52 ERA, and picked up 19 saves as their closer. The year before that (2011), he had a 1.39 ERA between Boston’s Rookie and Class A levels. Olmsted also had unbelievable strikeout numbers, notching 92 in just 59 1/3 innings of work in 2012. So why wasn’t this guy on the Red Sox (or at least in Triple-A) yet? Turns out Olmsted has quite the story behind him. He was drafted out of college by the Mets in 2007, and posted a solid 2.52 ERA in 10 games that year. Then, in 2008, he put up a 2.67 ERA at three different levels for the Mets. However, while pitching in the Instructional League following that season, Olmsted blew out his elbow, and required the dreaded Tommy John Surgery. He spent all of 2009 rehabbing, then reported to extended Spring Training in 2010 to get back on track. However, the Mets immediately released him after that, which came as a surprise to Olmsted- it’s not like he was pitching bad prior to his injury (in fact, the numbers say he was pretty good). That was the beginning of three years away from American baseball for Olmsted. He became an assistant pitching coach at the college he attended before being drafted, then caught the eye of a Japanese scout. Next thing he knew, he was in Japan pitching for the minor league affiliate of the Softbank Hawks. But, while in Japan, he was hit with some shocking news: his mother, who already had cancer, had fallen into a coma. At a tryout the following spring, however, the Red Sox took notice of him and his stuff, and decided to give him a chance in their organization. At that time, Olmsted’s fastball was sitting at just 89-92, but has improved to a consistent 95-97 since. He also features a hard slider. But why were the Brewers able to pick up him up so easily? Olmsted was on Boston’s Double-A roster, but not on their 40-man roster. Unless the Red Sox added him to the roster, Olmsted would have been eligible to be snatched up by another team in the upcoming Rule 5 Draft. But Doug Melvin acted fast and managed to get him before the draft. Since the Brewers offered Olmsted a spot on their 40-man roster (thus getting protection from the Rule 5 Draft), he was willing to leave the Red Sox organization to sign with the Brewers. So I hope nothing but the best for Olmsted this season. Not only does he have a great shot at making the Brewers’ bullpen out of Spring Training because of the shape the ‘pen is currently in, but all he has been through makes him deserve this chance. > Josh Hamilton’s asking price is $175 million over seven years. Ouch. 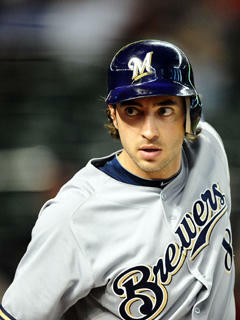 However, some are speculating that this won’t stop the Brewers from going after Hamilton. The only other major contender for Hamilton is the Braves, which could also benefit the Brewers. > More Hamilton news: I don’t know who David Lennon is, but apparently he predicted the Brewers landing Hamilton with a five-year deal. Dodgers: Outrighted Alfredo Silverio to Triple-A. 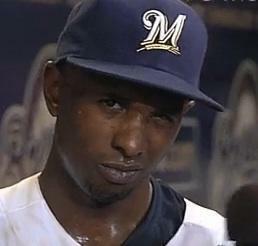 > Nyjer Morgan might be gone, but this remains one of my favorite pictures of all time. > OK, I understand that the shortstop market is terrible this offseason, but there’s no reason to put Cesar Izturis and Yuniesky Betancourt among the rest of these guys who will probably have starting jobs. EDIT: Just noticed Ronny Cedeno is in there too. The MLB Twitter account has gone insane. > If there’s going to be an award called a “Gold Glove” handed out to a player at each position every year, it should go to the best defensive player at that position for that given year, no? Plenty of guys were considered “snubbed” at their respective positions because of their reputation for making spectacular defensive plays. Take Mike Trout, for instance. He robbed home runs (literally going up the wall and bringing the ball back into the park) on three occasions this year as the center fielder for the Angels. But why did Jones win? Statistically, Jones actually had a better defensive season than Trout; Jones had the better defensive WAR. Denard Span of the Twins also had a better defensive WAR than Trout. In my opinion, that’s the way it should be- the guy who is statistically the best defender at each position should win. That happened in a few cases this year: Rollins had the best fielding percentage among NL shortstops, Barney committed just two errors at second base (which led NL second baseman, obviously), Teixera had just one error all year, Cano was tied for first in fielding percentage at second base, and so on. But, of course, when it came to the possibility of a Brewer getting a Gold Glove, he got screwed. 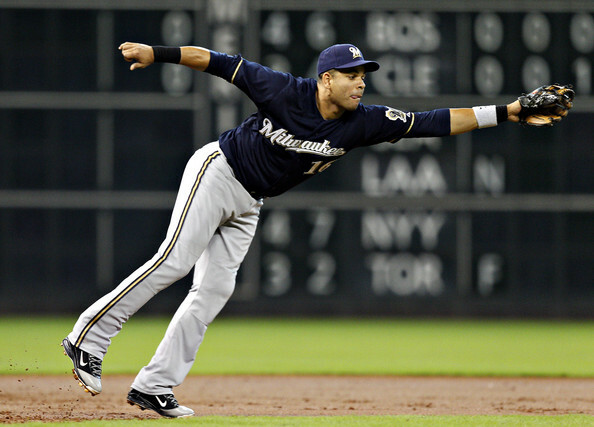 Aramis Ramirez led the NL in fielding percentage and had the fewest errors among qualifying third basemen. So who obviously wins the award at third base? Headley, duh. But why? If one player has better defensive statistics than another player at a certain position, that player should win the Gold Glove. This is the one award I think should be strongly influenced by statistics, because there’s always going to be one player who is definitively better than another (statistically) at each position. Most of the defensive statistics go hand-in-hand, so it’s unlikely there’s going to be two players who each have one better defensive statistic than the other. This is a far different award than something like the MVP or Cy Young Award, in which there are a series of different statistics that don’t necessarily go hand-in-hand with each other. That makes for more of an argument for who should win those award, which is why it’s okay for there to be voters. But there shouldn’t be a vote for the Gold Glove. There’s a best defensive player at each position, and that’s that. > The Brewers signed free agent righty Michael Olmsted to a minor league contract. > Travis Ishikawa officially elected free agency. > Two Brewers were selected to play in the Arizona Fall League Rising Stars game- Hunter Morris and Johnny Hellweg. Morris hit clean-up and went 1-for-1 with an infield single and a sacrifice fly. > The Cubs nearly sent Carlos Marmol to the Angels in exchange for Dan Haren last night, but the deal wound up not going through. The Angels were looking for anything they could get before they had to decline Haren’s option for 2013, but, since the trade didn’t come to fruition, they were forced to decline the option. Haren is now a free agent and could be a possible fit for the Brewers. > 10 teams are reportedly interested in lefty free agent Mike Gonzalez. I’d take him, seeing as the Brewers will be very thin on lefty relievers once again next year (if they have any). Manny Parra, the only lefty in the Brewers’ bullpen in 2012, is probably going to be one of the next guys to go. Rockies: Outrighted Carlos Torres to Triple-A; reinstated Josh Sullivan, Todd Helton, Juan Nicasio, and Christian Friedrich from the 60-day DL. Orioles: Outrighted Lew Ford, Zach Phillips, and Steven Tolleson to Triple-A. Mets: Outrighted Mike Nickeas to Triple-A. Twins: Outrighted Sam Deduno to Triple-A. Royals: Outrighted Manny Pina to Triple-A; reinstated Danny Duffy and Felipe Paulino from the 60-day DL. Mariners: Signed Hisashi Iwakuma to a two-year extension; re-signed Oliver Perez. Blue Jays: Acquired Esmil Rogers from the Indians. Indians: Acquired Mike Aviles and Yan Gomes from the Jays. Cardinals: Outrighted Steven Hill, Bryan Anderson, and Adam Reifer to Triple-A. Pirates: Outrighted Ali Solis to Triple-A. Astros: Outrighted Chuckie Fick to Triple-A; outrighted Brian Bogusevic, Jorge De Leon, and J.B. Shuck, all of whom elected free agency. Athletics: Re-signed Bartolo Colon to a one-year deal. Marlins: Signed Kevin Kouzmanoff and Jordan Smith to minor league deals.